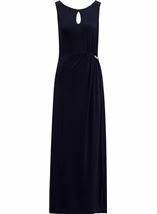 You will be sure to sparkle at that must attend event in this sleeveless maxi dress. 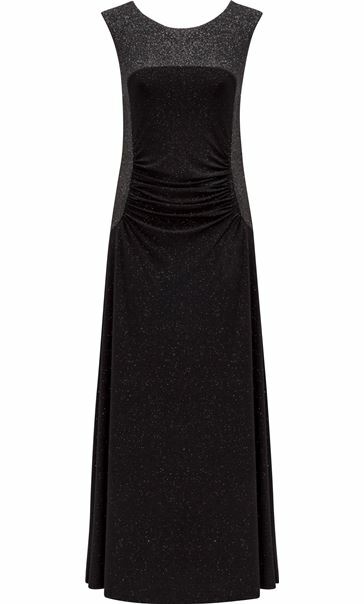 Designed in a black stretch fabric with an all over glitter finish that catches the light with movement, panelled design with ruching to the waist and ruching along the back concealed zip fastening. Complete with round neckline, v back neck and lined for comfort, a must have piece for your occasion wardrobe. Back length 142cms. 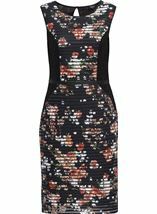 I bought this dress for a night out and once I tried it on in the shop I knew this was my dress. I am a size 22 and this dress is true to size. Fits perfectly. Hugs in all the right places and very flattering. Comfortable and washes well also. Would highly recommend. I had so many compliments about my dress it was fab. Very flattering dress. looks lovely on. 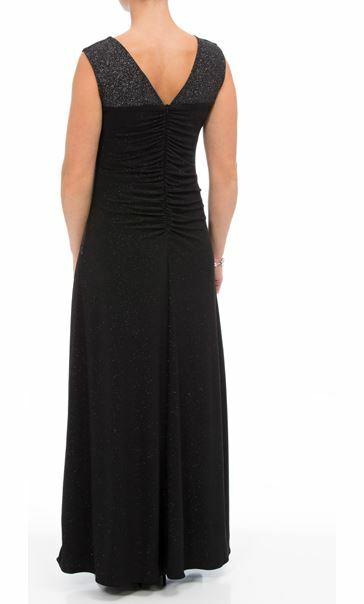 Sparking side panels accentuate the waist. Would recommend this dress.